Don’t resign yourself to poor quality dental work. Find out where affordability and quality meet! With the past two decades seeing a 5% rise in annual dental costs, many Americans are unable to even consider orthodontics. 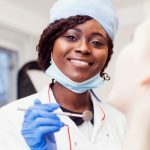 According to a survey done by the Urban Institute’s Health Policy Center in 2016, dental care is the number one health care service that people skimp on because of cost, insurance or not. So, what if you were able to save on straight teeth? But how can you save on straight teeth and still receive quality dental work? Dental clinics can be found within a landscape of learning, growth, and improvement. Working in tandem with a trusted university, dental clinics provide everything you need for quality oral care while presenting a notable discount. Penn Dental Medicine has become a trusted source for quality dental care at affordable prices. We know that sometimes “getting a deal” could mean “getting a dud” in many places, so we ensure that you´re don´t have to save on straight teeth at the cost of quality. 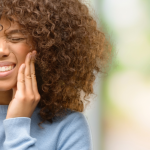 When it comes to your teeth, that’s simply one area that you don’t want to live with a “bad purchase”. You desire the discount and the quality. What do you get when you bring your dental needs to Penn Dental Medicine? Saving on straight teeth doesn’t mean you have to be sitting in a dingy, low-lit office located in an old auto repair building on the questionable side of town. At Penn Dental Medicine you benefit from state-of-the-art facilities and the best technology available. Because our practice is dedicated to training the next generation of quality dental professionals, we place importance on staying at the forefront of technological and medical advances. Our students (and dental practices nationwide) trust us to provide the most current information and the widest breadth of experience possible. How can we help you save on straight teeth? It’s simple. You help us and we help you. You provide the opportunity for our students to put into action all the information they have learned. Because you are allowing us and our students this opportunity, we offer deeply discounted services. However, we ensure that quality will never be sacrificed. Dental students performing procedures and checkups have already completed extensive coursework and classroom lectures through at least two years of schooling. Students have completed multiple simulated procedures within the laboratory on plastic teeth. Every procedure performed is monitored by a dental professional. Complex procedures have multiple checkpoints and extensive monitoring. Students are often paired with repeating patients throughout their schooling years. This means if you are receiving orthodontic work, you will benefit from the same resident dentist throughout the course of your treatment. As you can see, your cost savings comes at no cost to quality. Ultimately, we can ensure the quality of your dental work because of the quality of the professionals at Penn Dental Medicine. 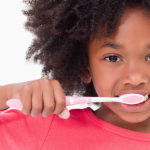 Many people don’t stop to consider the phenomenon that oral care in a dental clinic offers. The nation’s top dental professionals are found within the halls and treatment rooms at Penn Dental Medicine. You are literally one step away from the nation’s top dentists. And while all dental clinics have high quality dental professionals, University of Pennsylvania School of Dental Medicine has consistently drawn the very top of the nation’s professionals for decades. Our quality of work goes far beyond just our students. We present others outside our walls with important oral health education as well by providing options such as online courses to educate health professionals in other fields about the importance of dental health for overall health and wellness. Penn Dental Medicine is at the forefront of medical and health conversations nationwide. 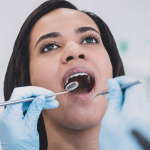 If your budget does not allow for you to have full-price orthodontic work, but you still want those straight pearly whites, Penn Dental Medicine is the answer you’ve been seeking. You can stop your search for cheap braces without insurance, because your answer is right here. Saving on straight teeth has never looked better. Turn that car around. Get out of the bad part of town, and come to Penn Dental Medicine for quality dental care at affordable prices! Call us today to schedule your first appointment at 215-898-8965. See how you can save on straight teeth!